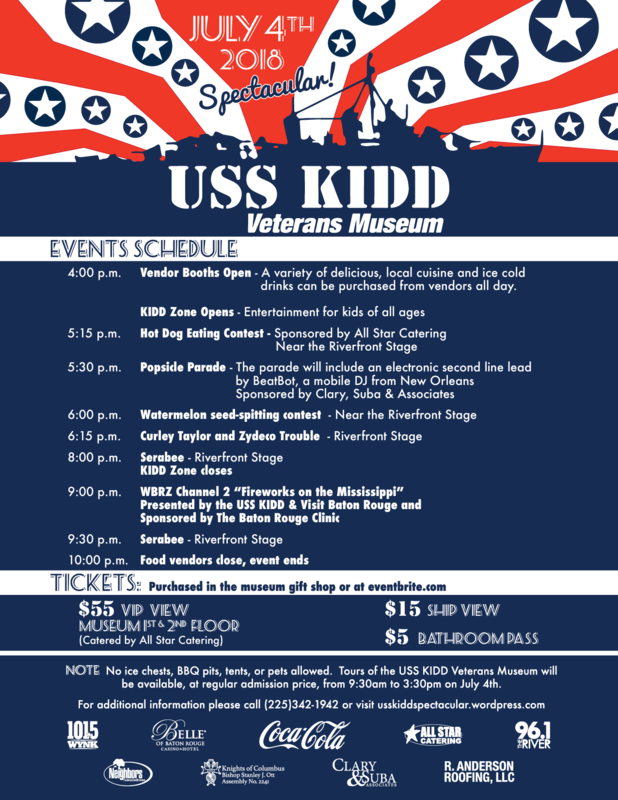 The USS KIDD has been hosting a 4th of July celebration in the downtown Baton Rouge area for over two decades. In that time, it has developed into an incredible family event that celebrates our nation’s freedom. The evening culminates with WBRZ’s Fireworks on the Mississippi River sponsored by the USS KIDD! 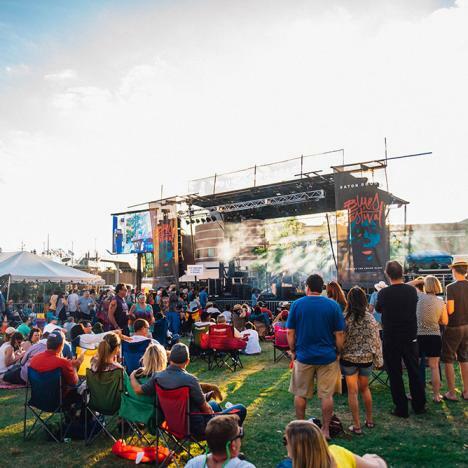 Over the past several years, the KIDD’s 4th of July Spectacular has become synonymous with the patriotic activities that attract thousands of families from across Louisiana and the southern United States. According to the Downtown Development District, the Baton Rouge 4th of July Fireworks Celebration brings in between 75,000 - 100,000 visitors per year. The celebration is made possible in part by the USS KIDD Veterans Museum, WBRZ News 2, the City-Parish of East Baton Rouge, community partners, area sponsors, and volunteers. We look forward to celebrating our nation’s independence with YOU!